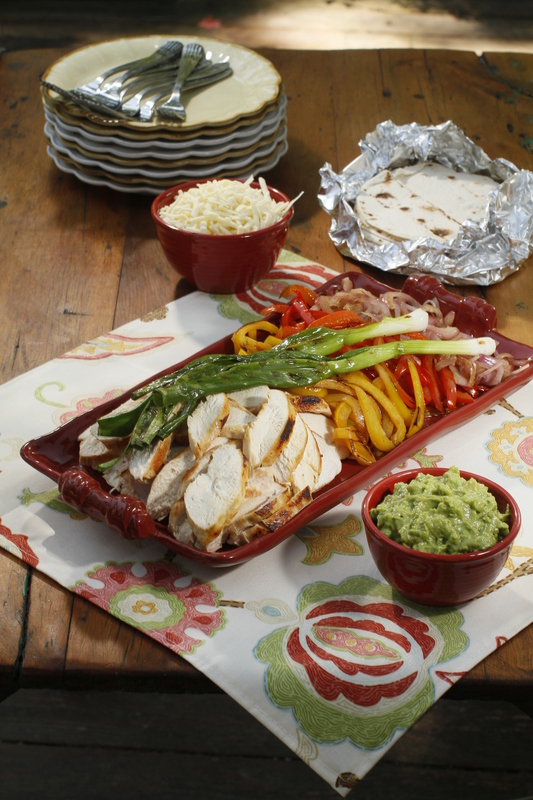 Celebrate Cinco de Mayo – or any night – with these flavorful chicken fajitas hot off the grill. Chicken fajitas are always a crowd pleaser, inexpensive, and easy to prepare. 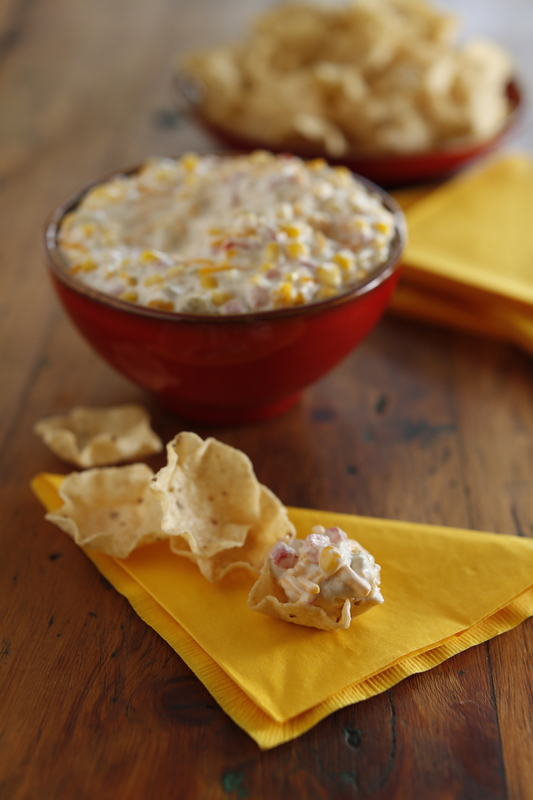 In about 30 minutes, you can have a delicious south of the border inspired meal on the table. The secret trick for flavorful and moist chicken is to marinate it overnight. The lemon juice, tequila, onion, garlic, and spices not only flavor the chicken but also make it more tender. I suggest marinating the chicken in a re-sealable plastic bag so you don’t have a to dirty a dish. And, if feeding your family, don’t be concerned about the tequila in this recipe. When you put it on the grill, all the alcohol burns off. This whole meal can be prepared on the grill if you like. Instead of sautéing the peppers and onions, grill them instead. Even the tortillas can be warmed on the grill. Wrap them in aluminum foil and warm on the grill over direct heat for 2 or 3 minutes. To serve, arrange the chicken and vegetables on a platter. Be sure to set out an assortment of south of the border toppings: guacamole, pico de gallo, tomatillo salsa, shredded Monterey Jack cheese, sour cream, fresh cilantro, lime wedges, to name a few. Your guests will enjoy assembling their own fajitas by putting their favorite ingredients in the tortillas. To make the chicken: In a shallow nonreactive dish just large enough to hold the chicken in a single layer, stir together the lemon juice, tequila, hot sauce, olive oil, onion, garlic, and cayenne pepper. Place the chicken breasts in the marinade and gently toss until well coated. Cover, place in the refrigerator, and marinate overnight. Remove the chicken from the marinade and shake off the excess. Discard the marinade. Season with salt and pepper to taste. Place the chicken on the grill. Close the lid and cook, turning once, until no longer pink in the middle, 6 to 8 minutes per side. Remove the chicken from the grill. Let rest for 5 minutes before slicing. To make the fajitas: In a large skillet over medium-high heat, warm 1 tablespoon of the oil until a few droplets of water sizzle when carefully sprinkled in the pan. Add the onion, red bell pepper, and yellow bell pepper. Cook, stirring frequently, until the vegetables are soft, about 5 minutes. To serve, thinly slice the chicken across the grain. Arrange the chicken and vegetables on a platter. 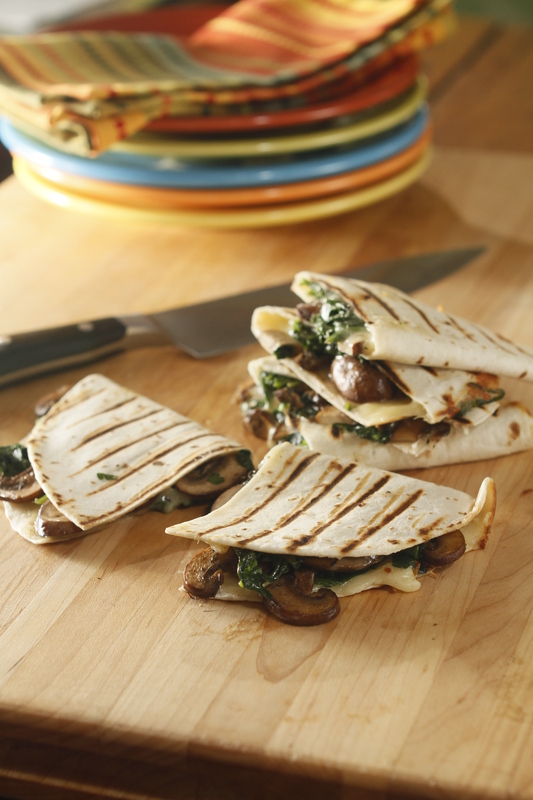 Serve with warmed tortillas and your favorite toppings. Encourage diners to make their own fajitas by putting the ingredients in the tortillas. It is best to marinate the chicken over night. If short on time, marinate for at least 2 hours. This recipe can easily be made indoors on a grill pan.